With the current economic situation, many people are facing foreclosure on their home mortgage. If you are facing a foreclosure, things can seem pretty hopeless. It’s important to remember, however, that there are alternatives. With the help of an experienced attorney, you can stop foreclosure, and keep the home you worked so hard to build. At The Hamzy Law Firm, we have the skill and experience to fight for you so that you can keep your home. Chapter 13 bankruptcy: Chapter 13 bankruptcy can help you to structure your loans and outstanding mortgage payments into a manageable payment schedule, while keeping major assets such as your home and car. Short sale: In a short sale arrangement, your house will be sold for less than the outstanding mortgage amount, but the bank or mortgage lender agrees to accept that amount as payment in full on your outstanding debt. Loan modification: A loan modification can help you save your house, as it permanently changes the terms of your loan, and results in more manageable payments. We are experienced in helping borrowers restructure lending agreements with banks or other lending institutions. Deed in Lieu of Foreclosure: Giving the lender the deed to your home enables you to avoid a formal foreclosure and may be less damaging to your credit than foreclosure. Whatever option you select, it is important to act quickly if you are facing foreclosure. Foreclosure proceedings do not stop even during avoidance negotiations. 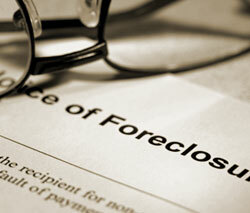 The Hamzy Law Firm understands foreclosure and loss mitigation law. We use our knowledge and experience to fight for our clients to help you find the solution that works best for you. Are you facing a foreclosure? Please contact us online or by phone at 860-589-6525 for experienced legal counsel. Schedule an appointment with an experienced attorney to discuss your options. We accept payment plans.